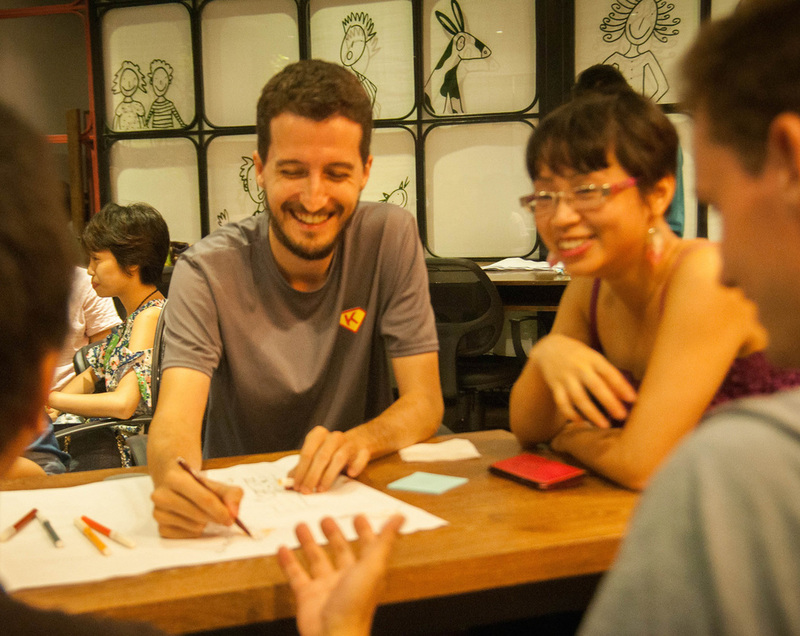 A group of 42 people from 15 countries was gathered in Ba Vi (Hanoi) in December 2016 to explore this question at the first Art of Hosting Conversations that Matter in Vietnam, a 3-day training designed for learning a set of simple yet powerful tools, methods and practices. Those can support you in building communities, activating the potential of individuals and groups, and fostering a type of leadership that invites collaboration, innovation and creativity. ​The first training in Vietnam was held by an international team of experienced facilitators who came especially for this occasion. The 3 days happened in a retreat setting at a resort close to Hanoi, where participants lived together and stayed close to nature. The 2016 training happened from Thursday 15 of December until Sunday 18 of December. ​Stay connected to know when the next training will be! The training in 2016 was held at the Family Resort (Ba Vi), a beautiful location surrounded by nature.